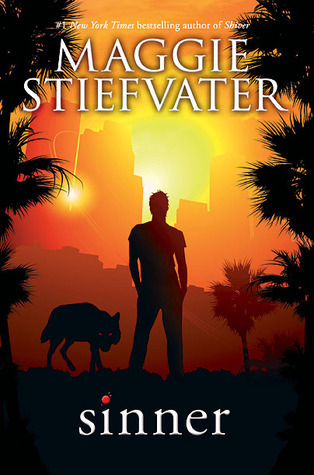 After racing through the Wolves of Mercy Falls trilogy, I found myself reluctant to read Sinner, mostly because it meant I would be finished with these surprisingly engaging books! In Sinner we only have two viewpoints – those of Cole and Isabel. Isabel has moved to California, and Cole follows her there. Since Cole somehow became my favorite character in the trilogy, I was happy to be back with him. He’s just a really enjoyable character, and I loved the way he interacted with people around him. Sinner was definitely more of an angsty YA romance than it was paranormal, and there were times that I got really aggravated with Isabel especially, but overall I have no idea why I enjoyed this book, but I did. It was one of those books that even the parts I didn’t like I still liked, I think maybe because I really liked both Cole and Isabel’s voices. My only beef with this book was that I felt like we spent way more time on why a relationship was not going to work than we did being convinced that it was. So in the end, while I was definitely behind them as a pair, I still had a lot of misgivings about all the issues they had had throughout the book, because I felt like their solutions were just basically that they decided those weren’t issues any more so they would just go away. And while that sounds like it (kinda) works, things like substance abuse and an inherent distrust of relationships because of your emotionally abusive family don’t just fade away into the sunset. This entry was posted in Book Review, Fantasy, Fiction, YA and tagged Maggie Stiefvater, Sinner, YA. Bookmark the permalink.